What Does Kidney Cancer Do? 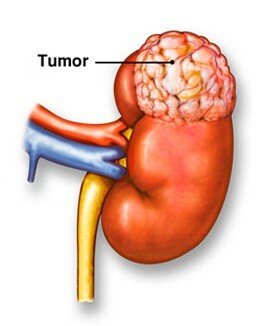 Kidney cancer forms on the inside of the tubes inside of your kidneys. The part of the body that this cancer affects is the kidneys, as the name suggests. 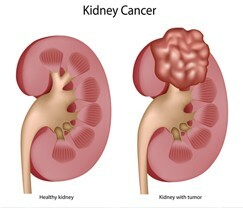 Symptoms for kidney cancer include blood in the urine, loss of appetite, a lump in your abdomen, weight loss for no reason, and pain in your side that doesn't go away. The main risk factors for kidney cancer are smoking, misusing narcotics/painkillers, and having certain genetic conditions. Kidney cancer is rarely inherited, about 5% of the time. 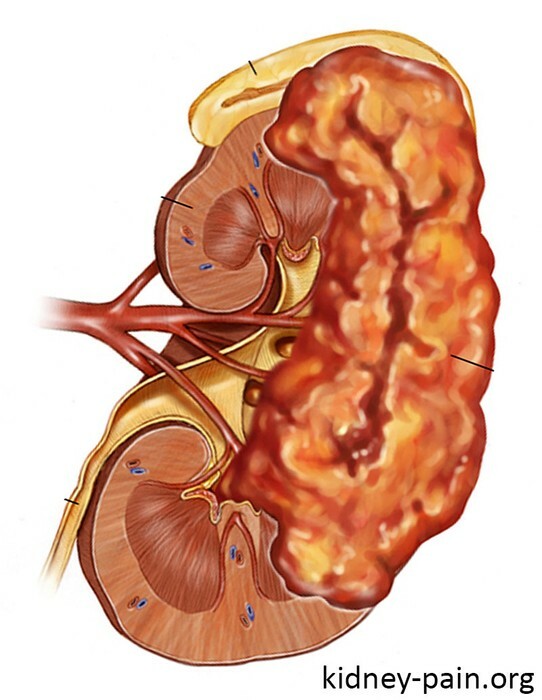 To prevent kidney cancer, you can quit smoking if you do, maintain a healthy weight, and control high blood pressure. Treatment for kidney cancer depends on your overall health, your age, and what stage the cancer is. Surgery, chemotherapy, and biologic/targeted therapies are all treatments for kidney cancer, or renal cancer. Kidney cancer can be diagnosed with a few separate methods. It can be diagnosed based on symptoms, with lab tests or with imaging tests. Urinalysis, CT scans, MRI scans, ultrasounds, blood chemistry tests, and complete blood counts are some of the ways that a doctor may test you for renal cell carcinoma, or kidney cancer. 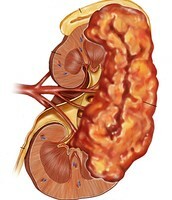 Kidney cancer usually affects adults ages 50-70.